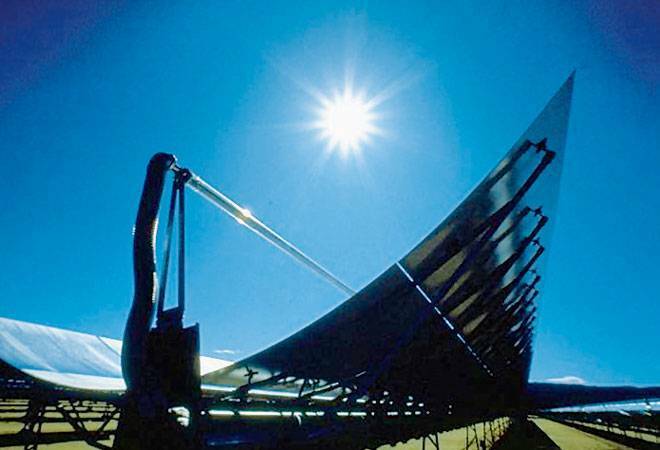 The International Solar Alliance is tasked to develop a skilled workforce for the sector. As the first general assembly of International Solar Alliance, or ISA -a multilateral floated during the UN Climate Change Conference, 2015 in Paris - concluded in Delhi; the ball is set rolling to make it more meaningful for the energy security of the member countries. To begin with, it has taken some of the easier tasks, such as developing the road map of solar mobility, storage solutions along with implementation of solar agriculture pumps, mini-grids and rooftop solar. Along with it, the ISA is tasked to develop a skilled workforce for the sector. The general assembly was hosted during the MNRE's flagship programme RE Invest at the outskirts of the Indian capital Delhi. RE Invest also concluded today. The contentious issues like developing access to technology, flow of capital, sharing the knowledge is still kept at bay. The alliance, currently, has 121 member countries. This includes the countries with ample solar exposure across the year and those with technology and capital & funds dedicated for solar sector. PM Narendra Modi, in his inaugural address on October 2, shared his vision of making ISA as next Organisation of Petroleum Exporting Countries, or OPEC -a body dominating the energy. OPEC is a cartel of 15 countries, which not only control the pricing but in the recent years proved very effective in controlling the production from member countries. It is a good target to achieve, but not with 121 members and scope open for addition. A better multilateral with broader reach could have been a better option. These days, examples of world trade organization and other united nation outfits is not a great idea. Representatives & envoys of many of the member countries shared with Business Today it will be much better to give suggestions and roadmaps rather than staying rigid. ISA started from this thought process. As an outfit, it is actually a good idea to start with the non-contentious issues and build up the trust among the 121 member countries, but ISA can't ignore them. There is a clear divide. The emerging economies -between Tropic of Cancer and Tropic of Capricorn-have better access of sun and they are hungry for energy as well. But the major research and development happened in the developed world and they sit on the capital as well. ISA can be a platform, where both the worlds can meet and take cues from each other's requirement. ISA also requires bringing in players who dominate sectors. This include Germany, the USA and China, among others. Germany remained most determined and successful example of ramping up solar capacities, even when the tariff was high. & the USA and China dominates the manufacturing segment. The earlier logic that they don't fall between the two tropics doesn't hold water any more. The factory of solar equipment, China is not there in the list, so are most of the European countries. China's module manufacturing capacity is 70 GW and dominates the pricing of these equipments globally. A module is 60 per cent of the project cost. Here the resolution to expand the membership of ISA beyond existing members became critical and a vital first step. This indicates that these countrys are keen. But without them, ISA will not be able to serve the desired purpose. In the first general assembly, the members ratified the appointment of the interim Secretary General Upendra Tripathy as a regular one. Tripathy, earlier served as secretary, new and renewable energy in India. ISA also got its first budget approved and can spend $9 million in calendar year 2019 and 2020. India has put $16 million as a onetime corpus, along with annual commitment of $2 million and the energy segment's public sector enterprises such as SECI, IREDA, NTPC, PGCIL, REC, PFC, CIL and PFC contributed a million each. Private companies such as Japan's Soft Bank has funded $2 million and China's CLP has given $1 million to the organisation. It is not about spending every dollar bill wisely, but building the organization, and making it more meaningful. Next two years will be very critical for the same.